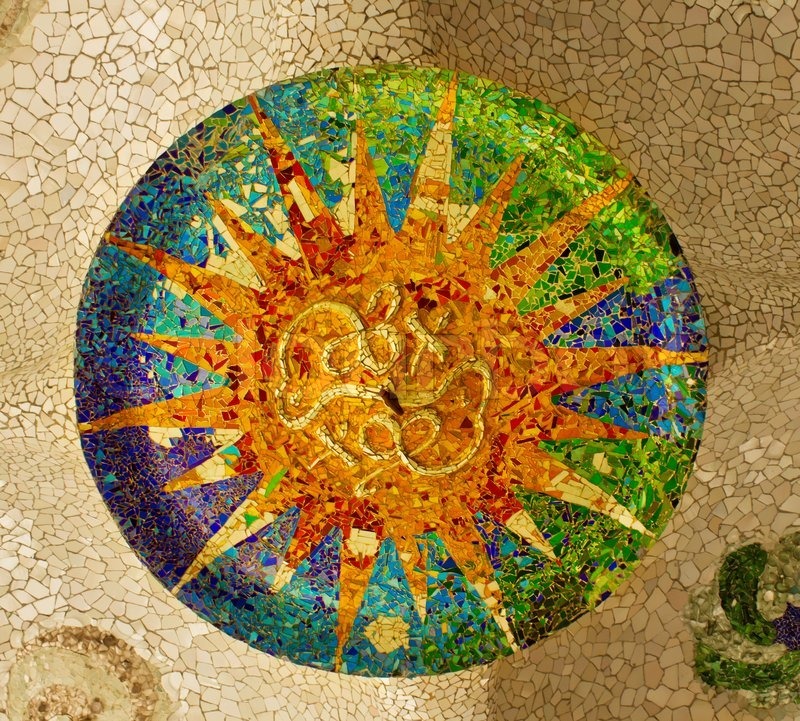 The mosaic artform might come off as being an antiquated application that is rooted in an era in human history preceding Christ. 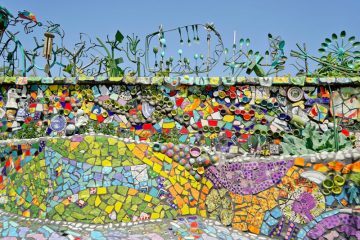 But the truth is, although many famous mosaics are actually relics from the past, there are contemporary artists that have given a re-think of the millennia-old art form, with modern mosaic patterns that break the mold. 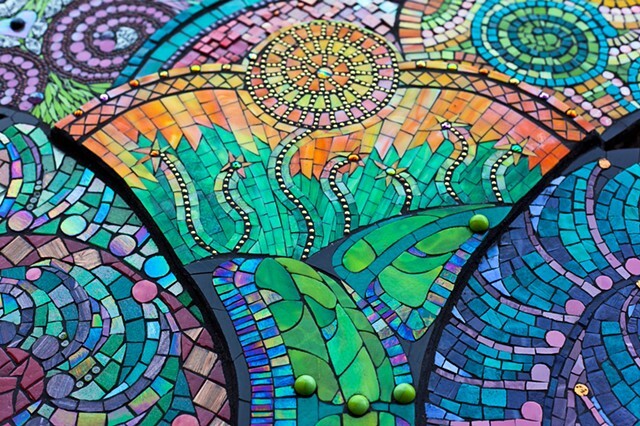 In this blog post, we set our sights on the here and now, while giving the stage to new and contemporary mosaic artists that haven’t only embraced the mosaic artform but also put a modern slant to it. 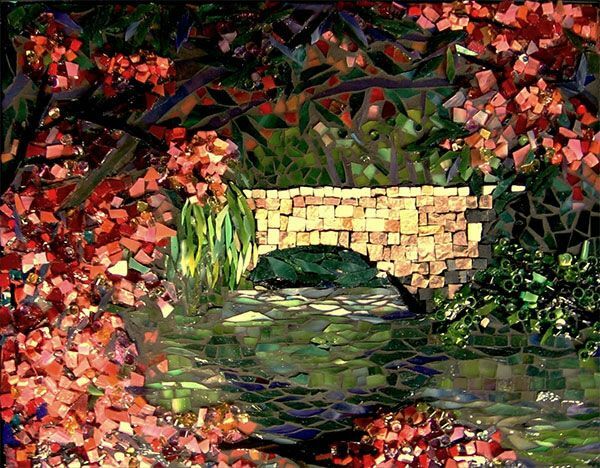 Jim Bachor is a renowned contemporary mosaic artist based in Chicago. 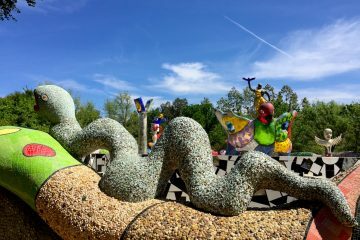 His wide-ranging portfolio of eclectic productions break the conventional mold of the mosaic artform, with ongoing whacky designs that really stand out. His long-time experience as a professionally trained artist skilled in setting marble and glass pieces into mortar gives him an edge. With a streak of originality, he has mastered countless impacting productions that speak volumes to the passer-by. 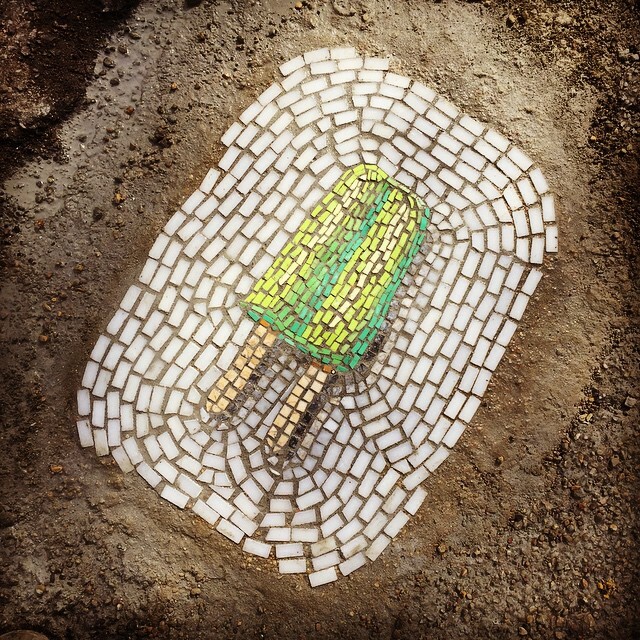 One of his more recent contributions that prop him up as a contemporary modern mosaicist is a themed campaign that extends throughout Philadelphia. Titled Pretty Trashed, the 2016 campaign features mosaic installations that gloss over highway potholes all across Chicago and Philadelphia and as far as Jyväskylä, Finland, replacing eyesores with eye-catching and modern spins on the solid art form. 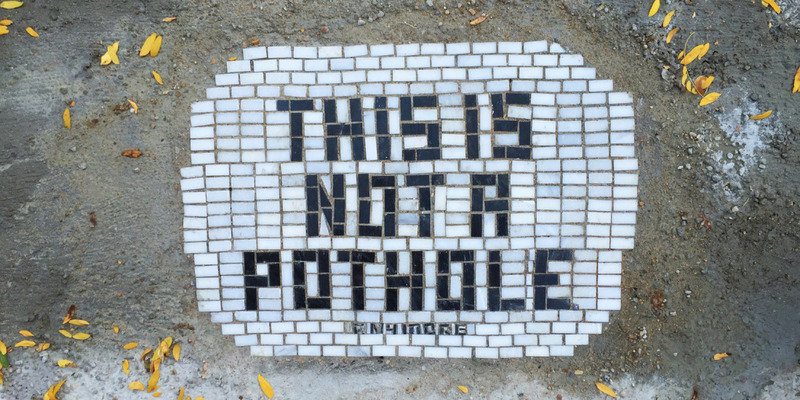 One of the artworks that stands out the most is a mosaic covering a pothole, with the existential message: this is not a pothole anymore. 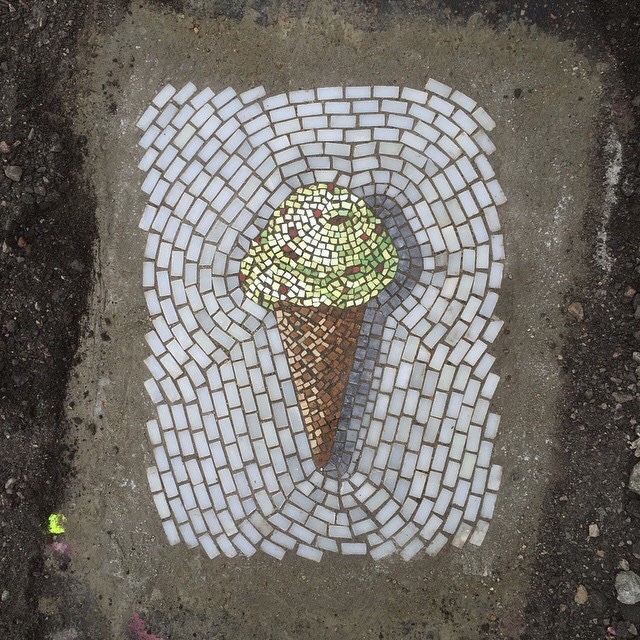 Other works include a hamburger mosaic, a Campbells Soup mosaic, an ice cream cone and vintage cereal boxes. 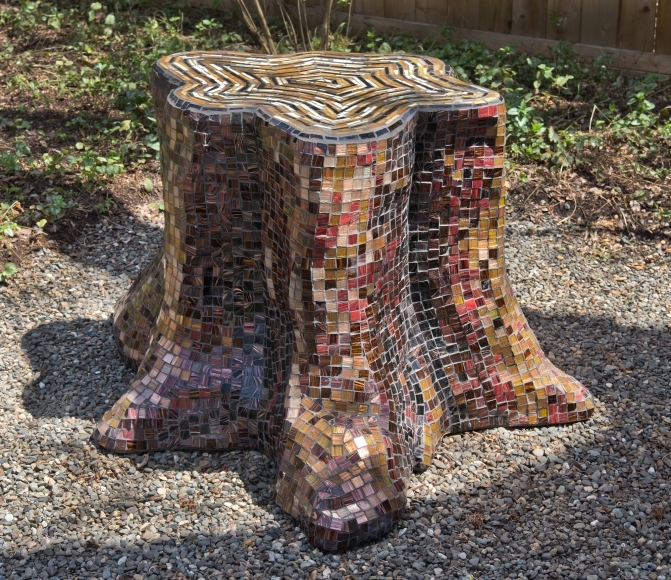 Not limited to mosaics, Jason Middlebrook is a mixed-media contemporary artist who dabbles in a range of techniques, working in sculpture, installations, and other thematic and site-specific projects that have received wide acclaim. Drawing his inspirations mainly from that strange middle ground where art and technology meet, Jason Middlebrook has a modern and industrial approach to creating mosaics. A close observation of the relationship between art and nature has brought on his breath-taking abstractions. These masterpieces exemplify his unique approach, which also tends to embody large-scale productions. 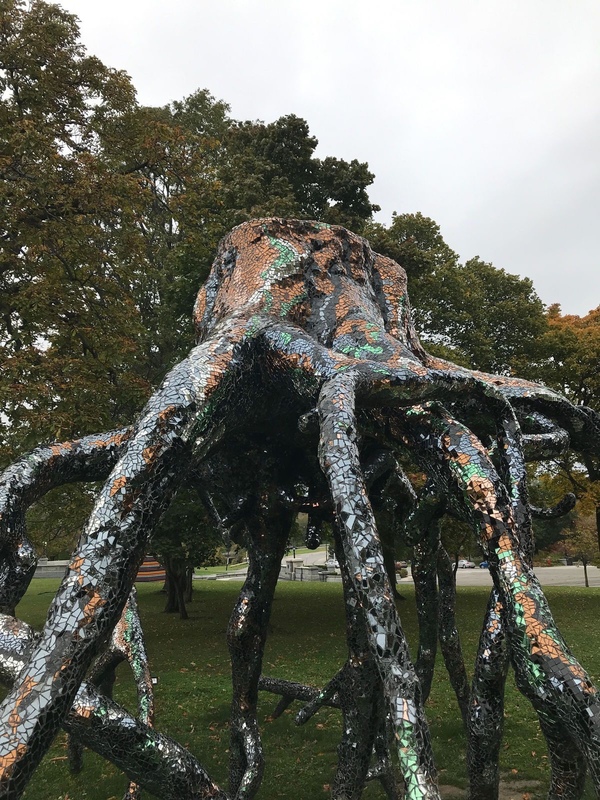 Middlebrook has exhibited his work in several key venues such as the New Museum in New York, the Museum of Contemporary Art in Chicago, and the Edythe Broad Art Museum at Michigan State University. 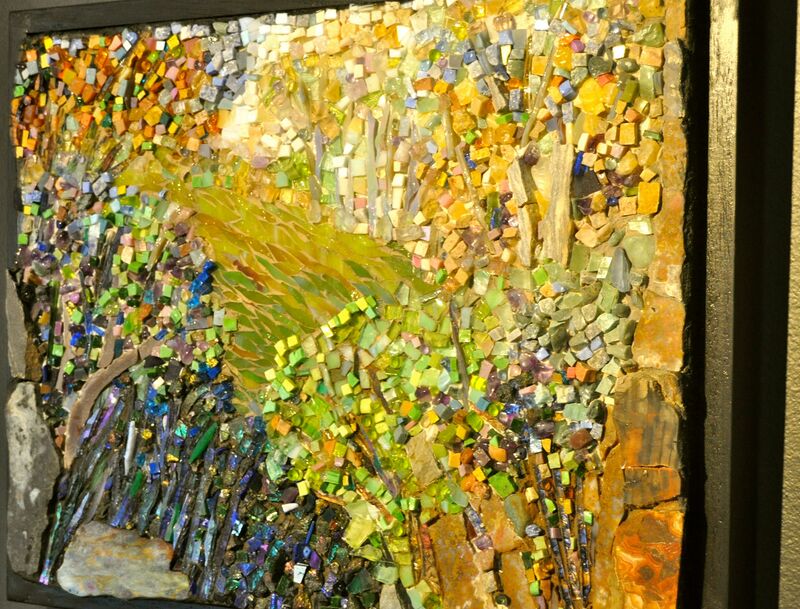 Michigan-based artist Linn Schorr has mastered the art of glass mosaics, with beautiful productions on display that have made her one of the frequently mentioned names in the trade. She took on different faces in the art world, first initiating her career as a production coordinator in the fashion industry, but eventually gravitating towards garden design. 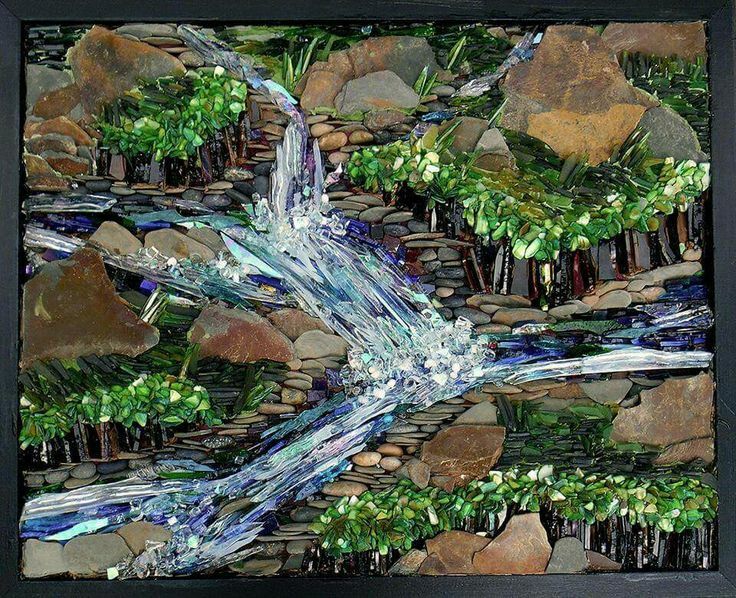 This set the foundations for her career in the delicate art of mixed media and mosaics. With a long slew of productions that wow the seasoned art collector and average passer-by in equal measure, she is known as the woman who paints with glass, as she typically includes glass in her artworks. 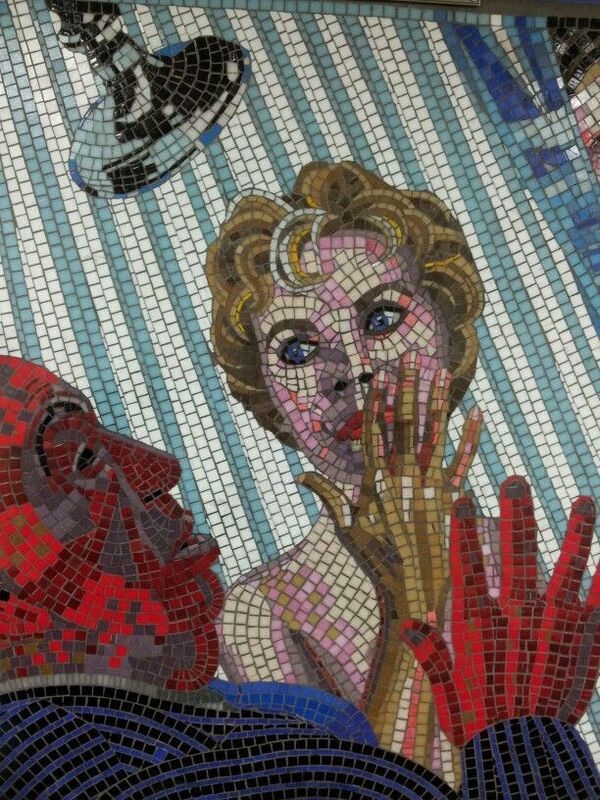 One which takes the cake as a masterpiece after having won her Best in Show award at the 2012 Society of American Mosaic Artists is this piece, titled In her Shoes. 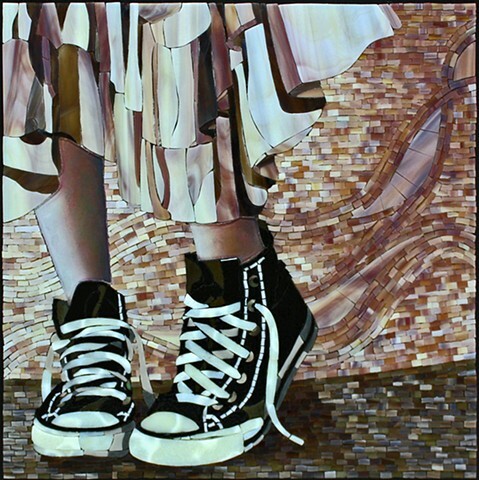 It inspires deep thought and personal reflection with the depiction of a girl clad in Converse, with shoe-laces undone. 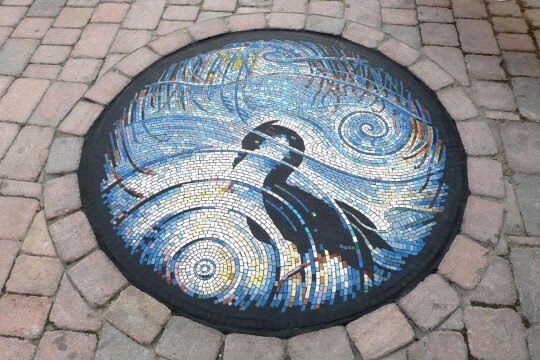 Award-winning mosaicist Gary Drostle has over 30 years of experience in the field. 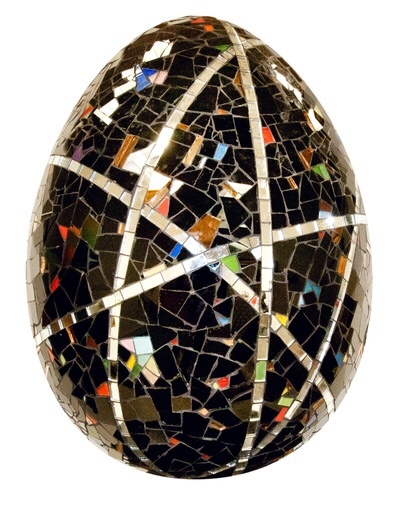 With many accolades to his name, Gary Drostle was awarded the 2014 Mosaic Arts International Contemporary Innovation award in Houston, Texas as well as the Best In Show award at the 2013 Mosaic Arts International in Tacoma, Washington. His inspiring work is interspersed through many key urban landscapes across the world, throughout the UK, USA and South America. Apart from applying the art, he is also an educator and publisher on the topic, with contributions to the Andamento Mosaic journal. 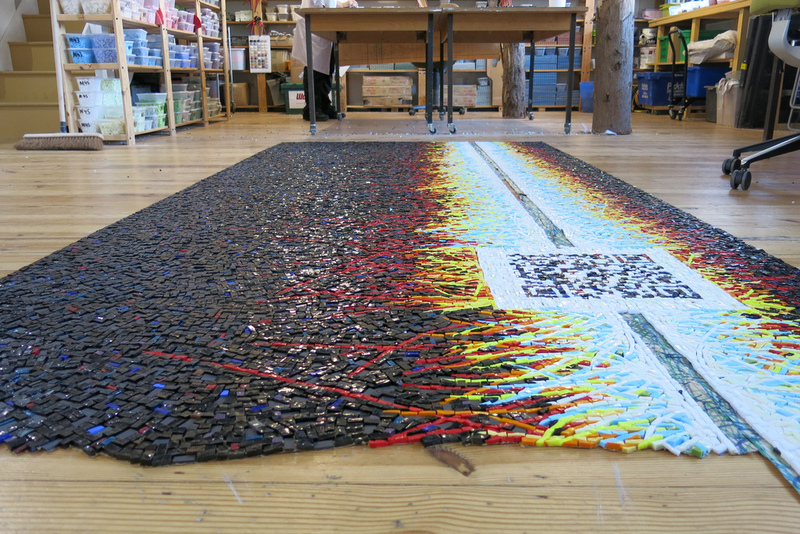 As a mixed-media, mural painter and installation artist his productions are not limited to mosaics. However, his varying productions are exemplary in exhibiting his unique abilities and talents which have made him a cornerstone to the contemporary artform. It was only a question of time before his exceeding talents brought on a series of commissioned painting works that would often take years upon years to complete. Today he runs Drostle Public Arts Ltd in South East London – a co-functional art space dedicated to mastering large-scale artworks specific to his own design. Also boasting 25 years in the field, Laura Rendlen’s style involves the application of subtle expressions and accents that bring out the essence of an environment. Her approach is said to give form to the intangible by delineating unseen elements within our ecosystem, such as wind, light and movement. She is an educator of the art as well and has been published widely. After earning her BFA in Sculpture from Kansas City Art Institute, Laura Rendlen spent 25 years as a scenic painter and has been featured in several key art journals. Her representational style has become a benchmark in the industry owing to the diverse elements and colors she beautifully interweaves. While starting off as a scenic painter, her style soon evolved to be more central to mosaic productions after a stint of creating large-scale murals and tromp l’oeil. She has also been commissioned to do some massive murals in Kansas City and Chicago. 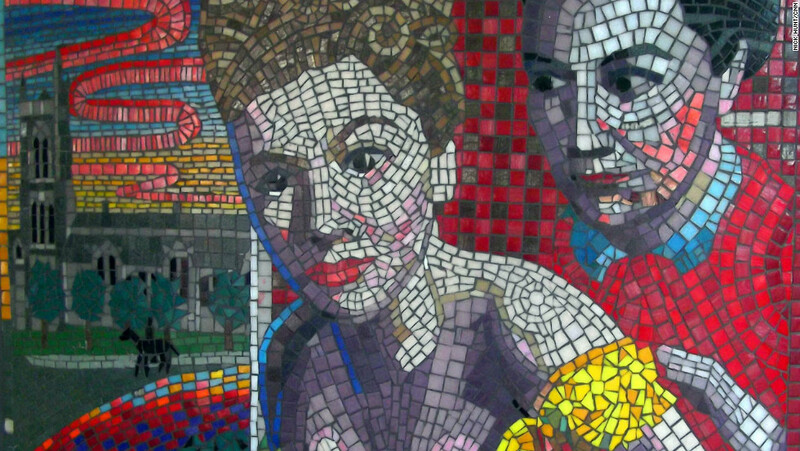 In her own words, “mosaics combine the tactile construction of sculpture, the vision of painting, and the timeless permeance that I had been searching for in art”. 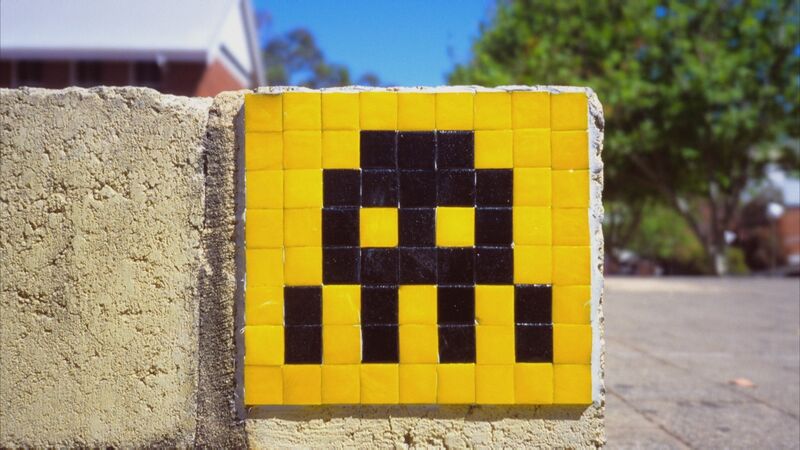 Invader is the working alias/pseudonym of a renowned urban mosaicist resident to France. 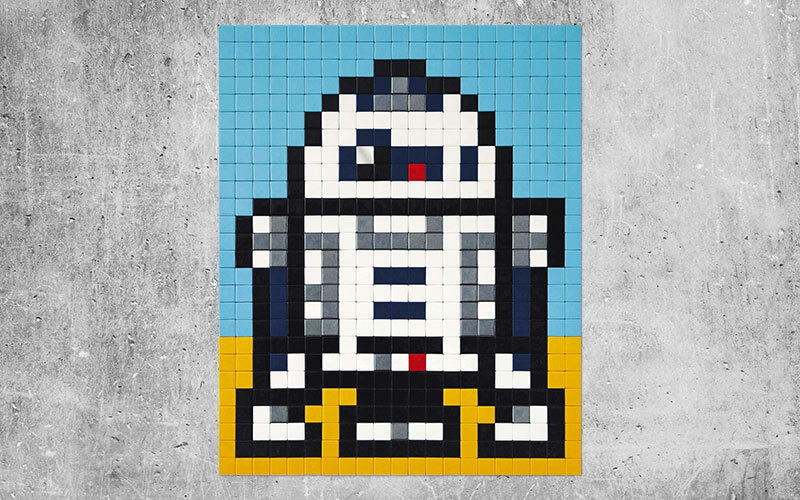 His widely acclaimed and award-winning approach brings to life pixeled mosaic works which announce retro video-gaming graphics, comprised mainly of square ceramic tiles. 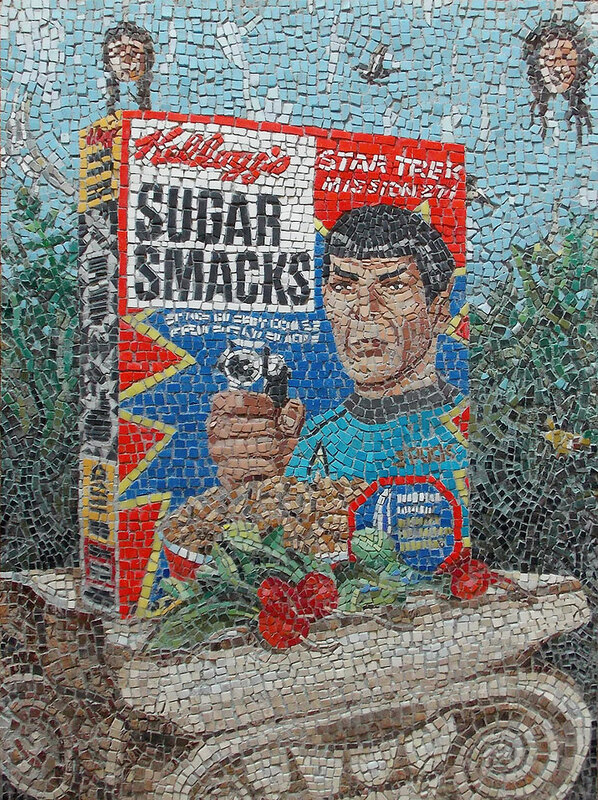 In many ways the Banksy of mosaic art, he has remained in the shadows while effectively maintaining an incognito albeit strong presence in the artworld. And although his true identity remains a secret, his artworks are celebrated the world over, spread throughout more than 77 cities in 33 countries around the globe. Each city he has dominated with his hard-to-miss installations has been dubbed a space “invasion” by the industrious artist. He has also published books with intricately drawn maps that document the specific locations of his celebrated street artworks. 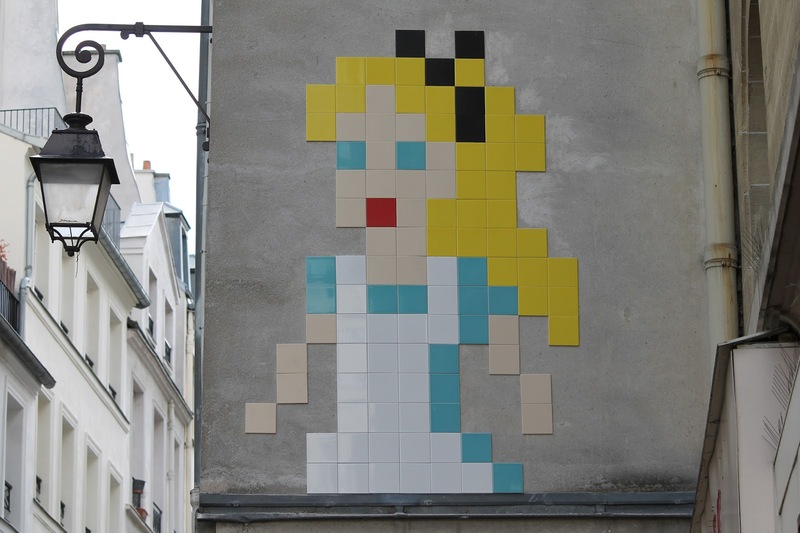 Invader is a graduate of the Ecole des Beaux-Arts in Paris, and much of his inspiration was sourced from his own experiences while growing up playing video-games in the 70s and 80s. 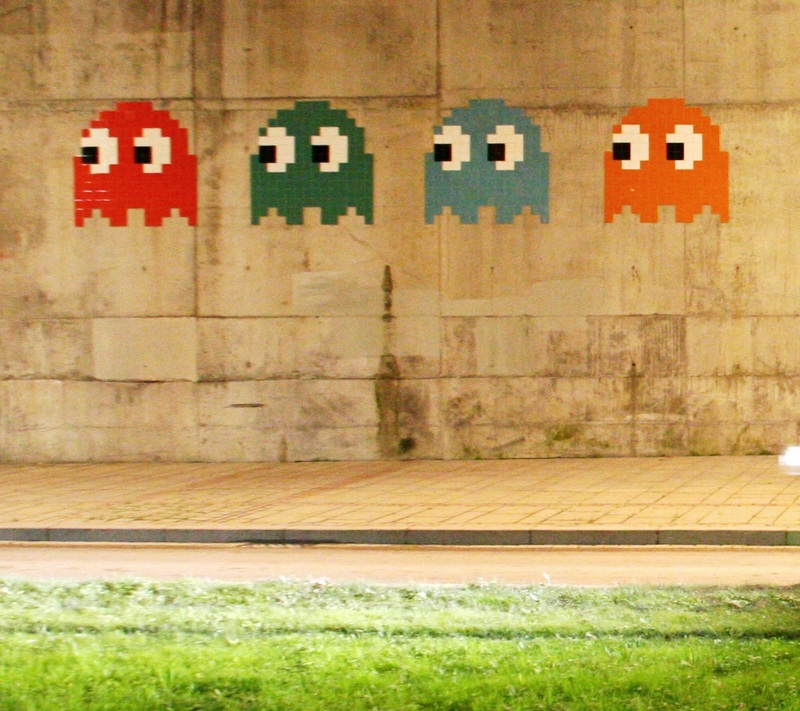 His works tend to take on the pixelated form of 8-bit graphic representations such as the space invaders, which also has become his namesake. Invader’s many works have left their mark in key urban settings within massive cities such as New York, Hong Kong and LA. His signature style even infected world-famous landmarks such as the Hollywood sign, where he commemoratively placed one of his mosaics on the letter D to commemorate the Y2K bug epidemic. 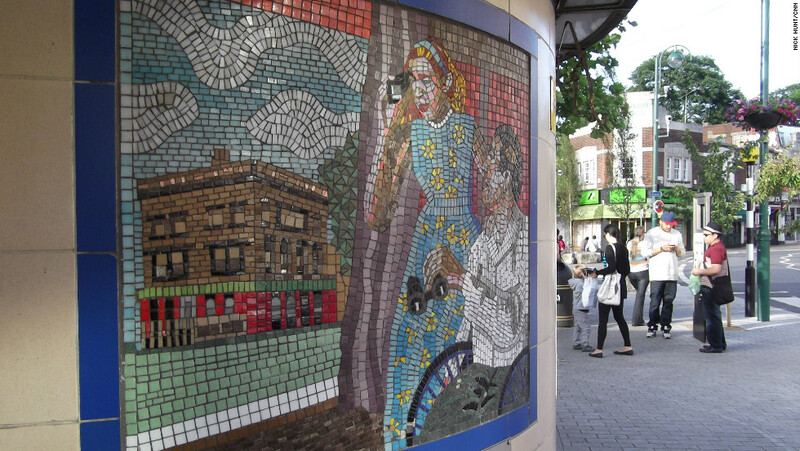 Modern mosaics today feature throughout many key locations across the world. 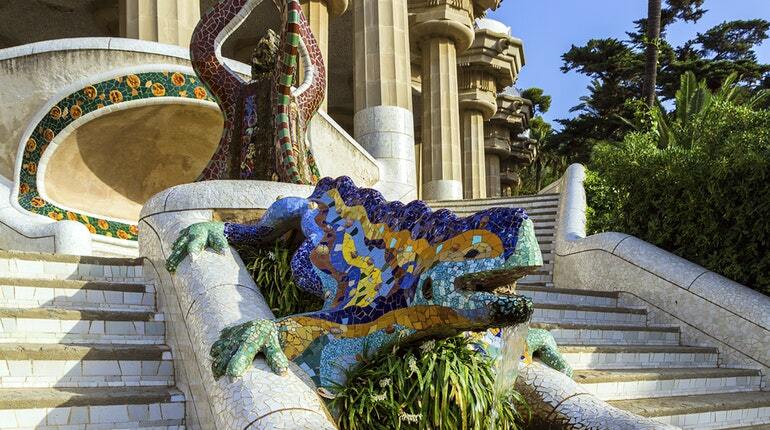 In the early 20th Century, Barcelona’s Antoni Gaudi joined hands with Josep Maria Jujol to piece together what is now revered as one of the most famous mosaic installations of its kind, setting a precedent for other artists to follow suit. 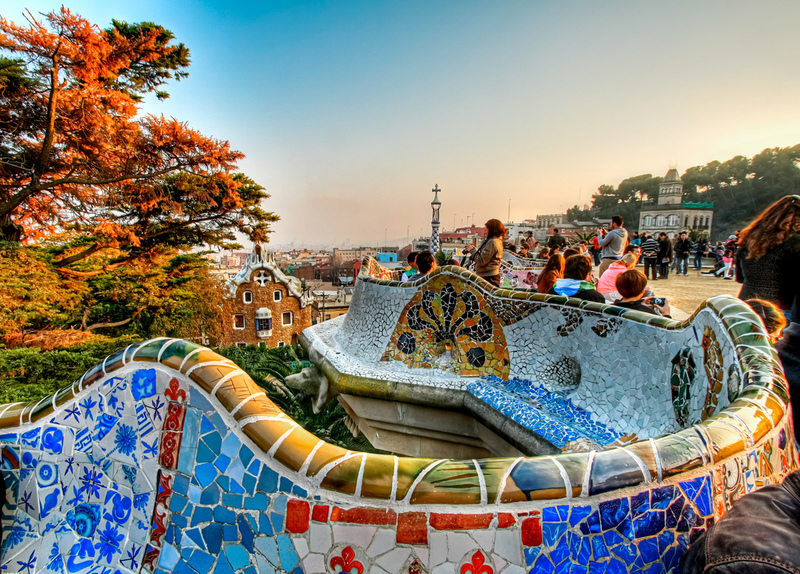 An avant-garde approach to mosaics brought to life stunning ceramic mosaics in Guell park, putting into effect a technique known as trencadis, whereby tiles are used to cover the surfaces of buildings. 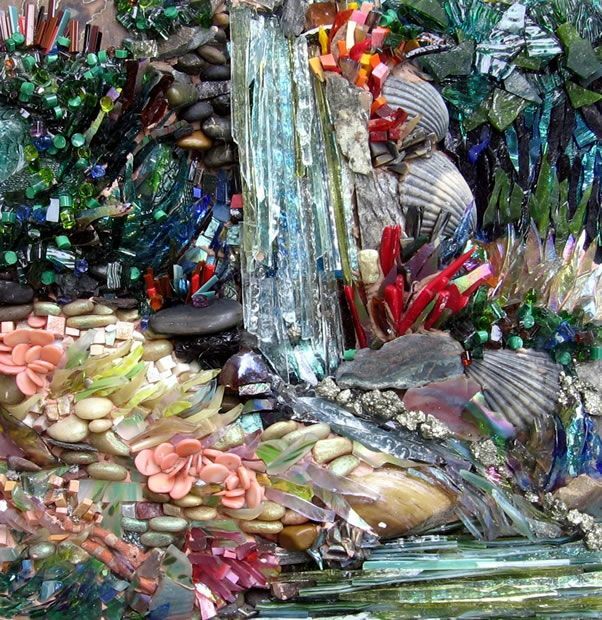 This was done by recycling cast-away items such as broken crockery. 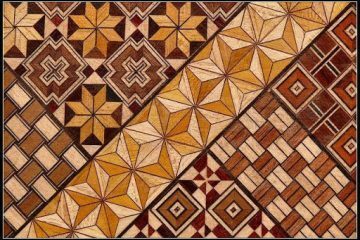 This soon became a standard method that has been re-applied and imitated by countless other contemporary mosaicists. While widely used today, it was considered at the time to be a very avant-garde and revolutionary idea in formal architecture. 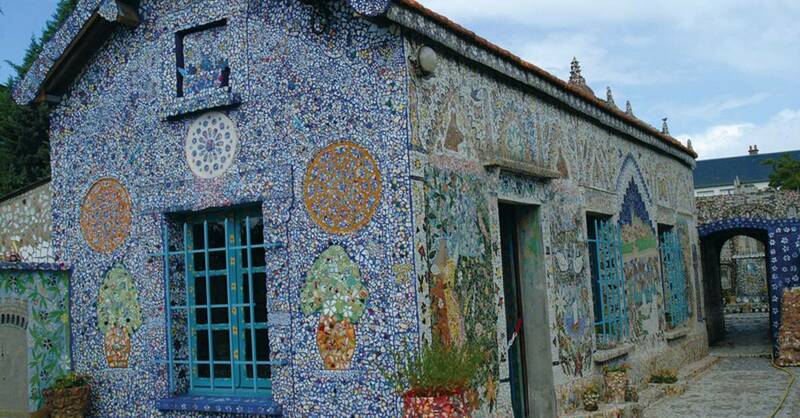 Another key location for appreciating modern mosaic patterns is in La Maison Picassiette, Chartres, North of France. 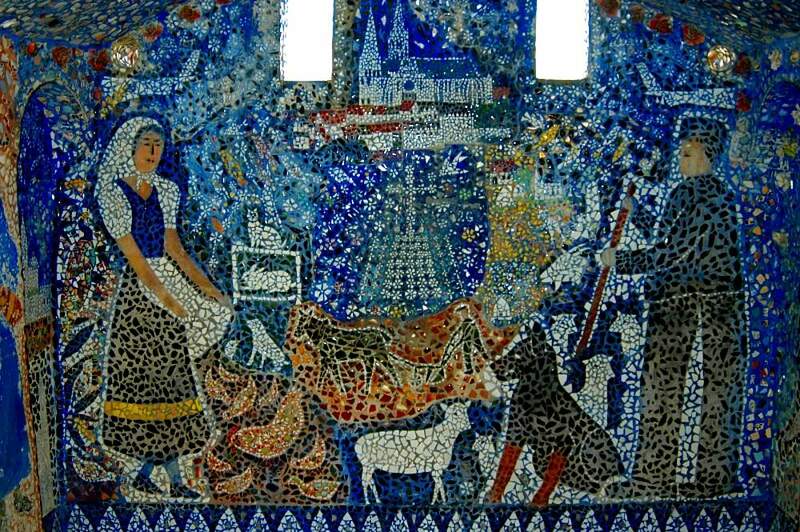 It comprises the exceptional work of a manual worker, French folk artist Raymond Isidore, who was a cemetery sweeper by day and an illustrious artist by night. He adopted the nickname as Picassiette, which in French translates to the scrounger, in reference to his ability to weave intricate and elaborate mosaic patterns while sourcing all his tiles from broken crockery. 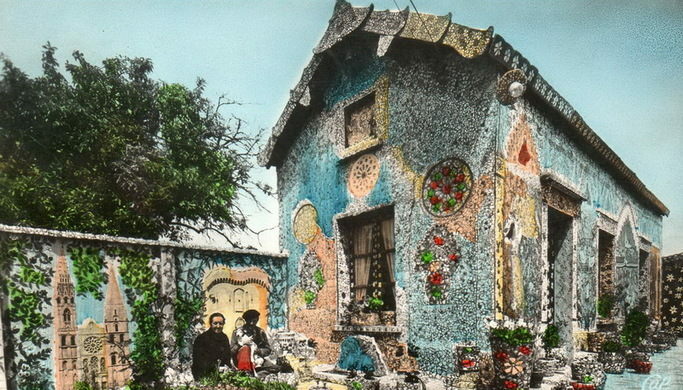 His versatile and idiosyncratic approach was widely celebrated after he painstakingly embellished his entire house and garden with intricate mosaic designs. 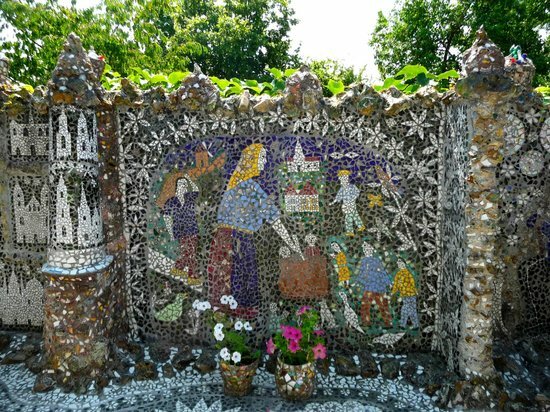 Today this technique is labelled as “pique assiette” – a variation on his nickname, which has become synonymous with his unique approach to creating modern mosaic art. 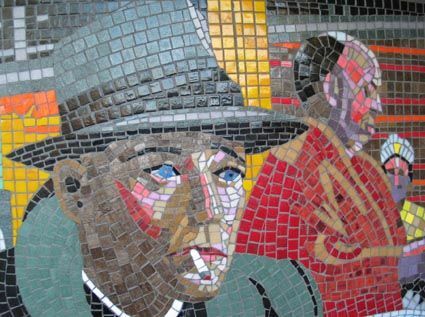 A location that also features a beautiful display of a modern take on mosaics is the Leytonstone tube stop of London’s underground. 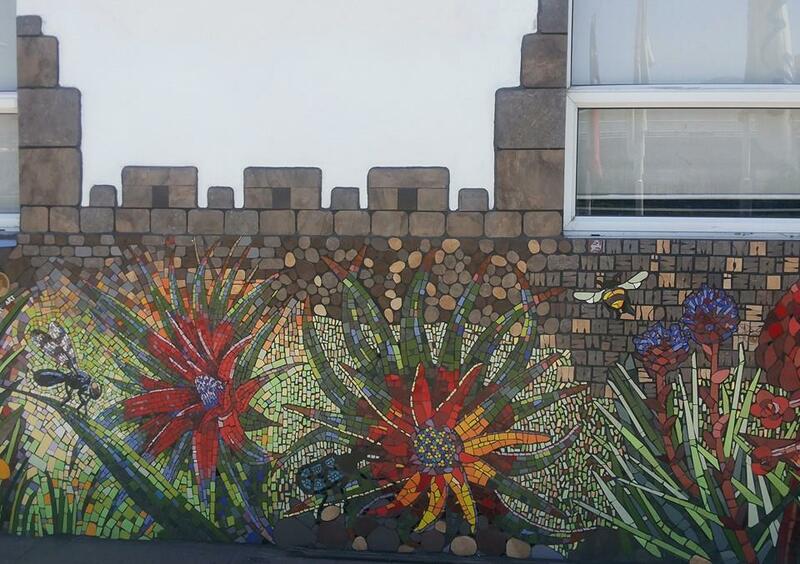 On this stop, there are 17 mosaics installed in all their glory, lining the passageway that links Church road to Gainsborough road. Drawing its inspiration from Legendary murder-mystery producer Alfred Hitchcock, the gallery brings to life a rush of scenes from his films. The gallery is the brainchild of Greenwich artists who chose Hitchcock’s birthplace, Leytonstone, as a worthy location to install this gallery for the centenary of his birthday. 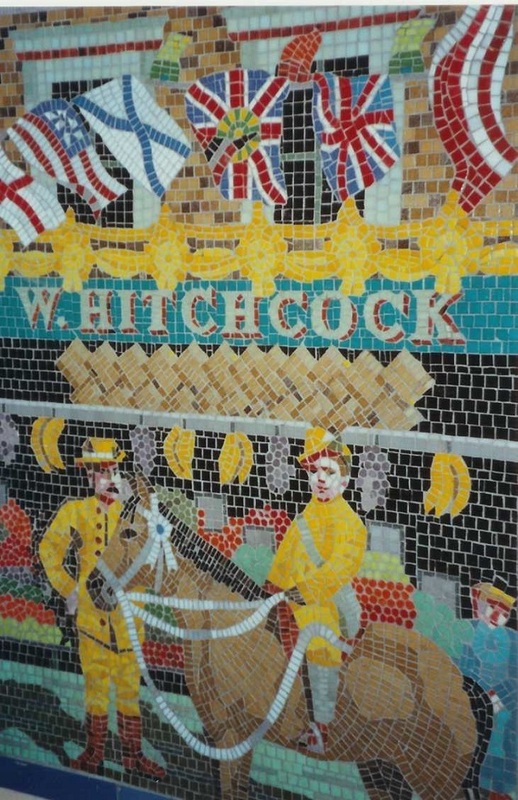 It also features excerpts from the legendary film producer’s childhood, with one mosaic showing him in his infancy amongst his parents outside a grocery shop. Due to the fact that these mosaics are done in a passageway, some of the works are featured against curved walls. And while the scenes aren’t easy to discern, an avid fan should immediately pick up on the references, with an immense amount of detail demonstrated through the simple method of adjoining tiles. 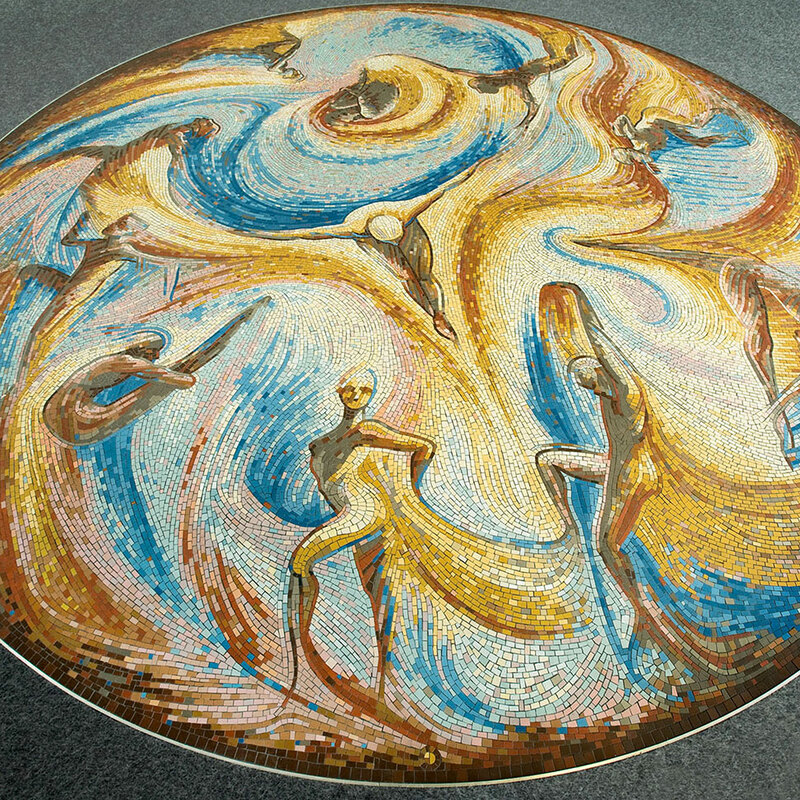 The mosaic artform is a multi-forming method that is designed to stand the test of time. Whether ancient or modern, it holds its ground as an increasingly popular medium which can take on many abstractions. 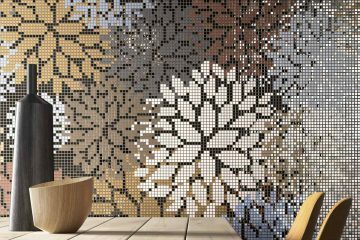 For more mosaics of all shapes and sizes, both customizable and pre-designed, please visit mozaico.